This guide will show you how to purchase an Auto Trading plan. 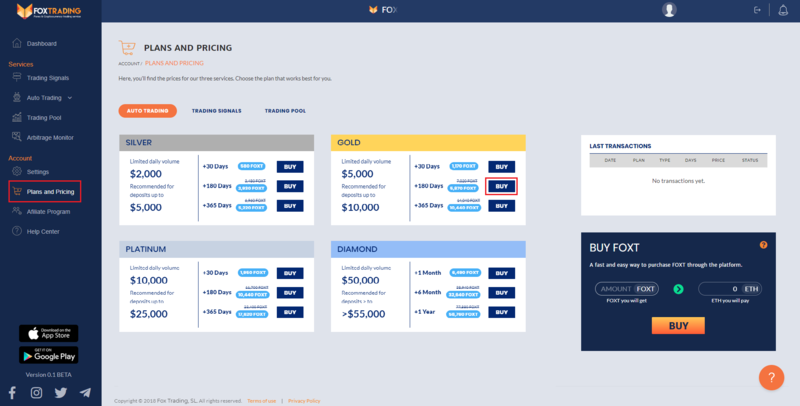 Let's start, click on Plans and Pricing at the left side of your dashboard. 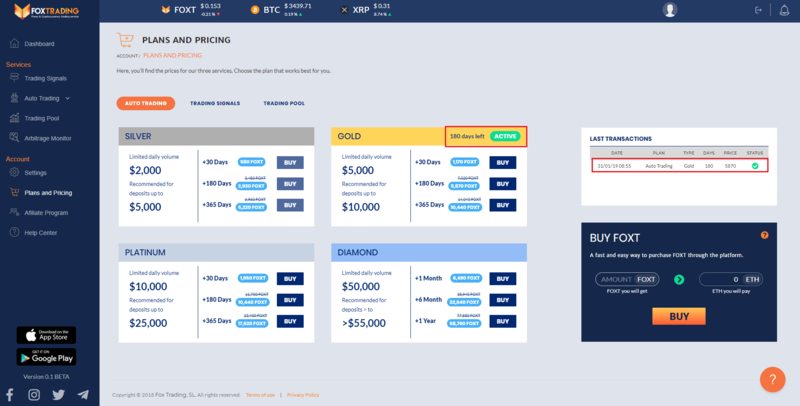 Now, you can see the different plans available (Silver, Gold, Platinum or Diamond) and its prices, get the one that best suits your interests. For this demonstration, we are buying the 180 days plan in Gold conditions. Once you have chosen the plan, it will be detailed the days that you will be able to use it and the price of it. 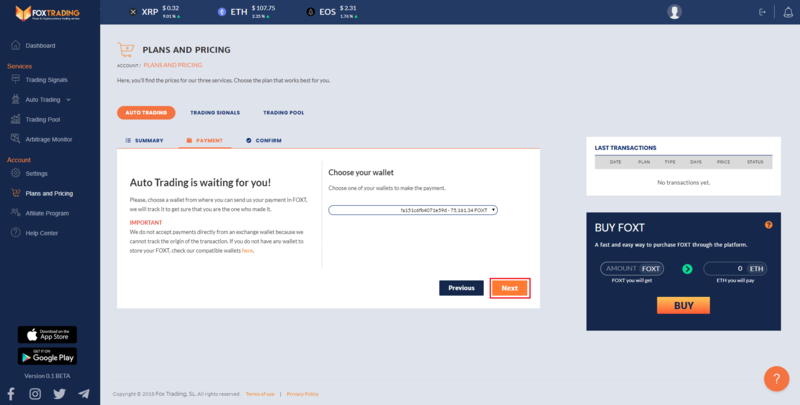 Choose the wallet (How do I add my wallet to the platform?) 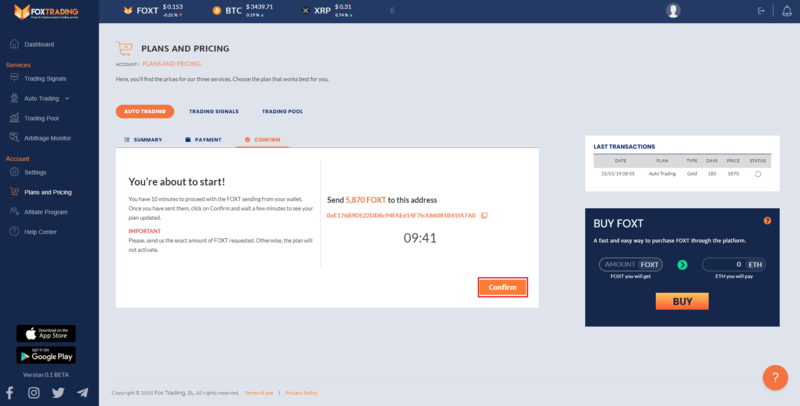 in case you have added more than one, from where you will send us your payment in FOXT and click on Next. You have ten minutes to send the amount of FOXT to the specified address. Please be sure that the amount is the one required, otherwise, the plan will not activate. Once you have sent the amount of FOXT, click on Confirm. It may take a while to complete the process. After a few minutes, once the transaction is confirmed, you will know when your plan is active because it will be shown like in the following picture. 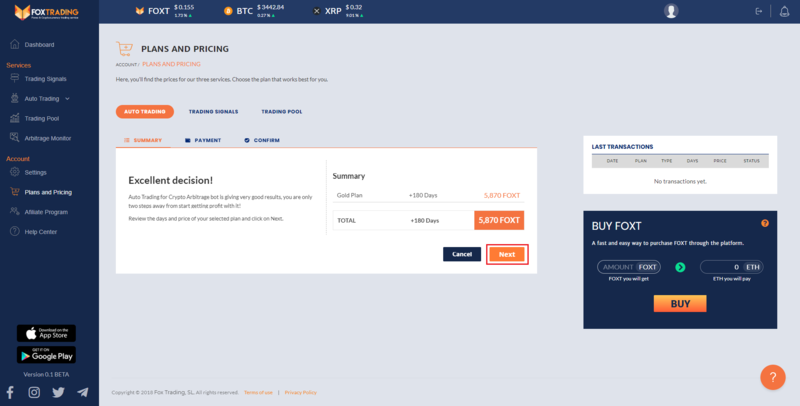 How to set up Crypto Auto Trading?